Obituary for James William Morton | Jolley Memorial Chapel, P. A.
SALISBURY – James (Pop, Jim) Morton, 96 died Monday, March 26, 2018 at Anchorage Nursing and Rehabilitation Center in Salisbury where he had been a resident since June. Born in Landgraff, W.V., he was the son of the late Professor and Emma (Douglas) Morton. His late wife, Evelyn Hughes Morton died in 2007. He moved to Maryland in the early 50’s and was formerly self-employed as a lumberman for several years. He later became employed with Perdue Farms, Inc., retiring in 1985. 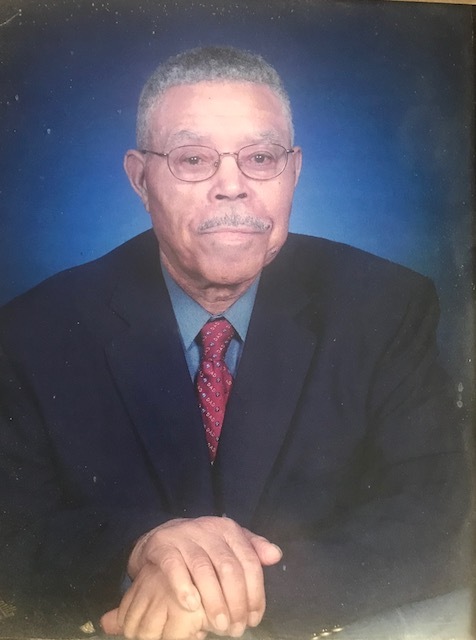 Mr. Morton was a member of Mills Memorial Baptist Church in Salisbury, MD. His survivors include six children: Cathy Dismuke, Dorothy (Robert) Morton, Josephine (Robert) Waters, Willie (Maeve) Morton, William (Geraline) Morton and Nina (Lee) Hill, all of Salisbury, MD; a special grandson whom he reared, Charles Morton of Salisbury; thirteen other grandchildren; 30 great grandchildren, five great-great grandchildren; one brother: Pernell Morton of Salisbury; three sisters Dora Hall and Martha Purnell of Salisbury and Marjorie Anderson of Texas; two sisters-in-law: Delores Morton of Salisbury and Addie Mae Morton of Texas; one brother-in-law: Jesse Jones of Baltimore and a host of nieces and nephews. Eight siblings: Joe, Fred, (Twins) Floyd and Lloyd Morton, Doris Morton Jones, Ernestine Morton, Geraldine Morton Lomax, Emma Morton Paige; sons-in-law: Charles Dismuke and brother-in-law: Paul Anderson preceded him in death.